Hibernation is boring, winter never is. Play in the snow, catch up with friends and make the most out of this amazing season. In case you were wondering, we love winter! Winter Tours work on your schedule. Pick a date, bring a few friends along or book a private tour and head out to explore Central Alberta with your guide. 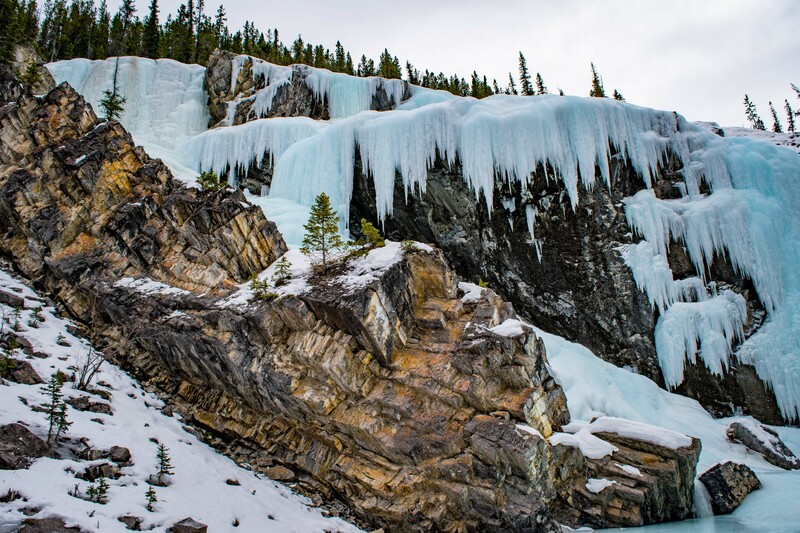 Try an evening of snowshoeing in the city or join us for a full or half day tour exploring David Thompson Country, from the ice bubbles to frozen waterfalls and canyons. Our small group size allow us to be flexible while on tour and to slow down to enjoy the journey. 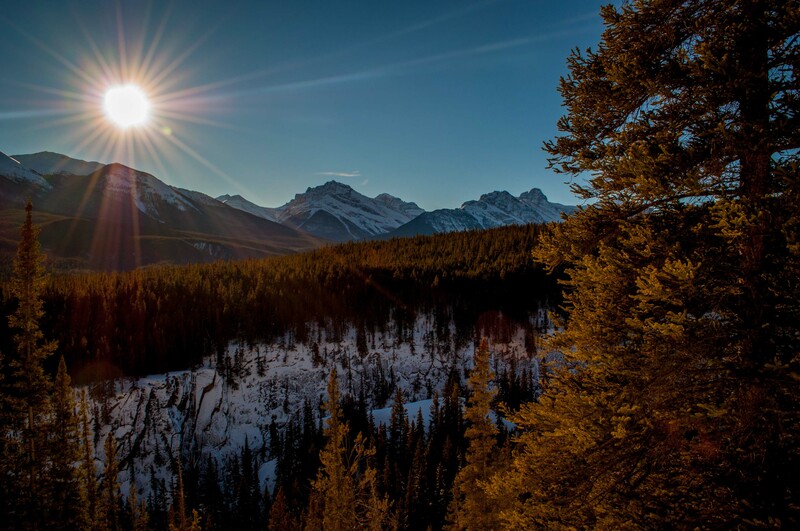 We take care of all the logistics, transportation, equipment and lunch so that all you have to do is enjoy the breathtaking destinations Central Alberta has to offer. 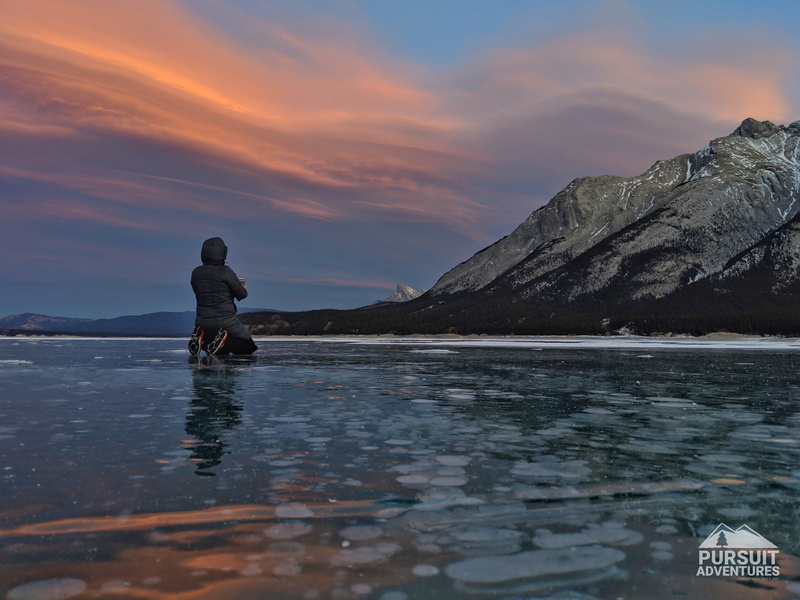 Catch the magic of the sun setting on Abraham Lake. This tour is all about ice, from the famous bubbles to quirky ice features. 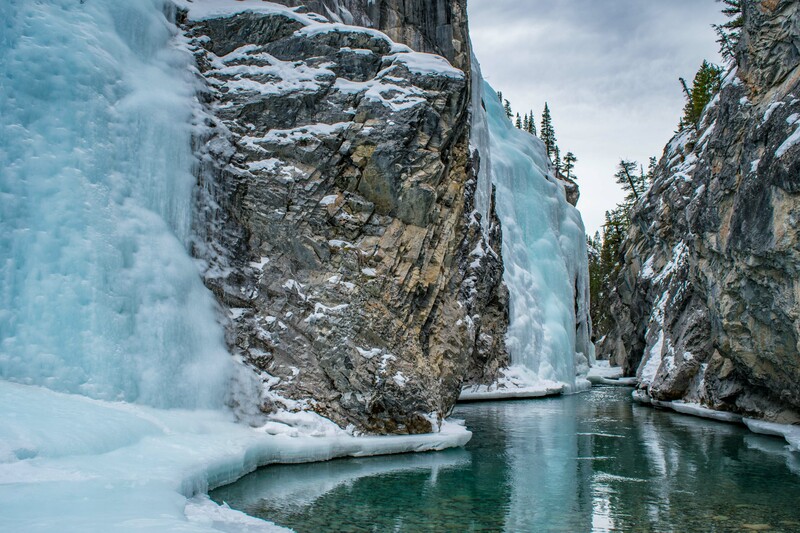 Head out for a snowshoe through the lodgepole pine forest to the icefalls of the Cline River Canyon. Guide, snowshoes and hot chocolate included! 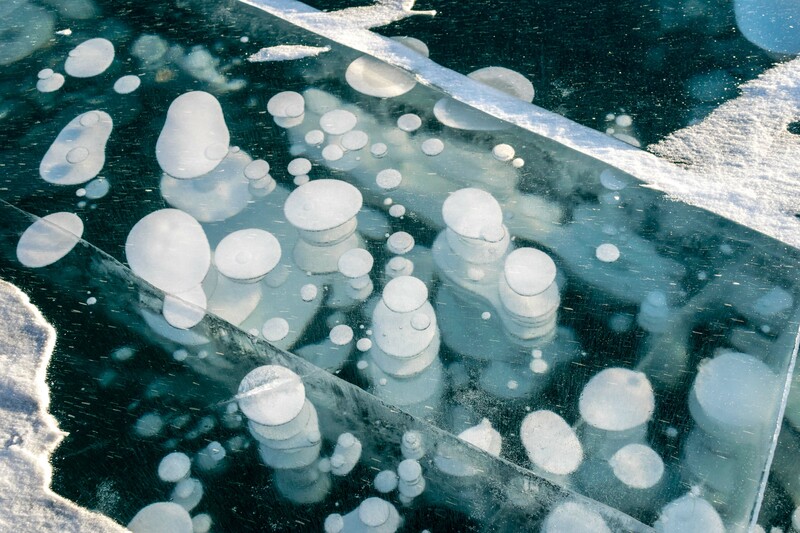 Head out for an ice walk on Abraham Lake in search of the methane bubbles that have made the area famous. Guide, ice cleats and hot chocolate included! Start your adventure with a walk to the Crescent Falls. Spend the afternoon on Abraham Lake taking in the sights of the ice bubbles and surrounding peaks. Winter in Bighorn Country is magical. 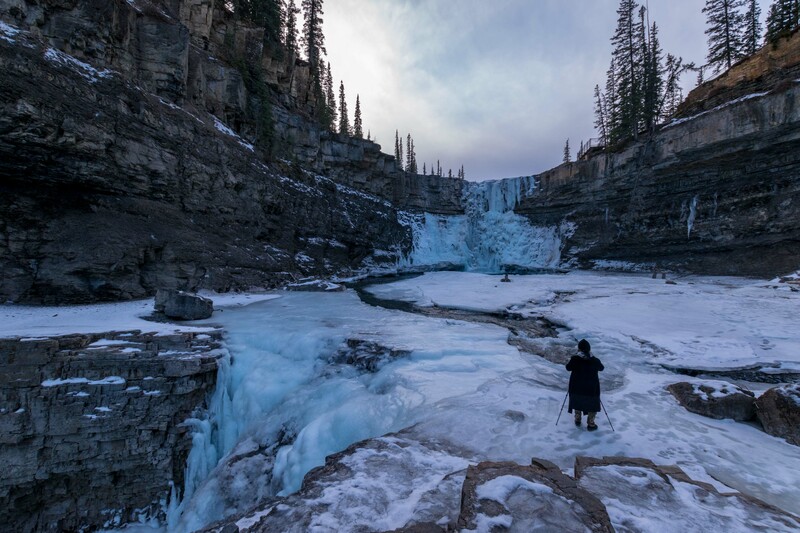 This tour takes you to two of our favourite spots: the ice bubbles of Abraham Lake and the canyon of the Cline River. The most popular hike in Bighorn Country is even better in the winter! 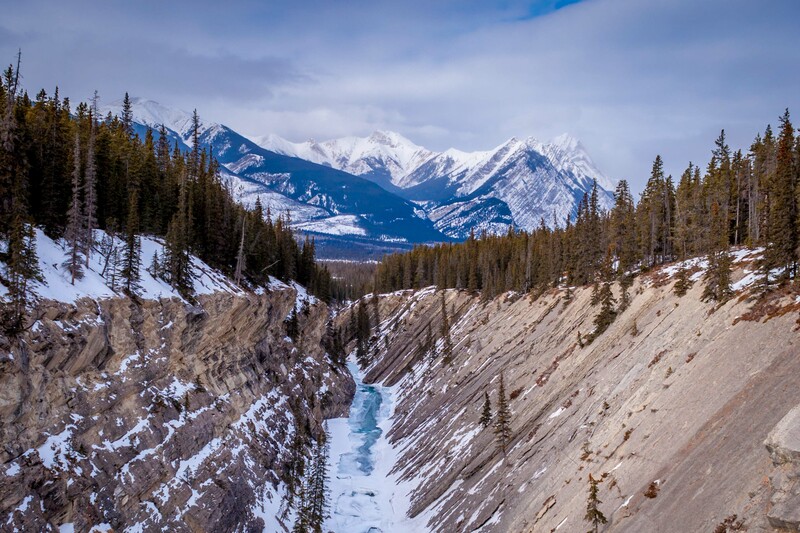 Hike on the Kootenay Plains with canyons, waterfalls and great views of the Rockies. Looking to join a scheduled tour instead? The Explorer Series tours are offered on Saturdays and select dates throughout the season. They’re a great option when you have 1 to 5 people looking to meetup with others for a fun adventure.